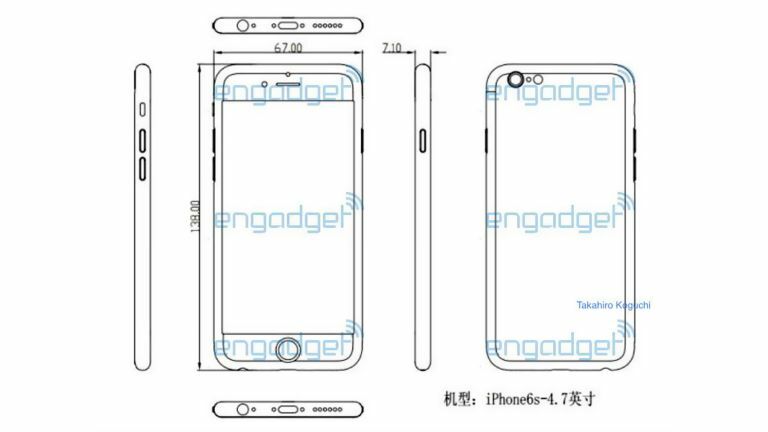 It looks like the next iPhone will actually be thicker than the current iPhone 6. Leaked technical drawings of theiPhone 6Sshow that it will be thicker than the current model. But don't worry, the 'S' doesn't stand for 'super-size'. The schematics published by Engadget Japan, citing a 'reliable' source in China, suggest the new phone will be 7.1mm thick, a grand 0.2mm thicker than the iPhone 6. These drawings don't show off an otherwise radically re-designed frame, suggesting Apple just needs the extra space to cram in some new components. There is, sadly, no word of a gigantic battery, though. The most exciting possibility is that Apple is looking to jam Force Touch feedback into the screen. This is used in Apple's latest MacBook and MacBook Pro laptop trackpads, getting you clicky pressure-sensitive feedback with no moving parts. It's a finger-charmer and could be used to revolutionise gestures in phone OSs. If that all turns out to be a tech daydream, there are a few other possible excuses for the egregious 0.2mm waist size increase. First, Apple is is expected to increase camera resolution for the first time since 2011's iPhone 4S, with a 12-megapixel camera. Then again, maybe Apple's new A9 CPU just needs the extra room, although that seems unlikely. Should Apple go the whole hog and implement a new camera and Force Touch, we could be in for an interested September, when the iPhone 6S is expected to launch. Now why not read the full details on iOS 9?